The following activities can be used at home or in the classroom. 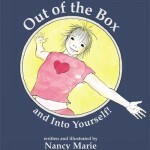 Out of the Box and Into Yourself! offers a simple solution to a very large problem-how to free yourself from other people’s expectations and be the person you were meant to be. 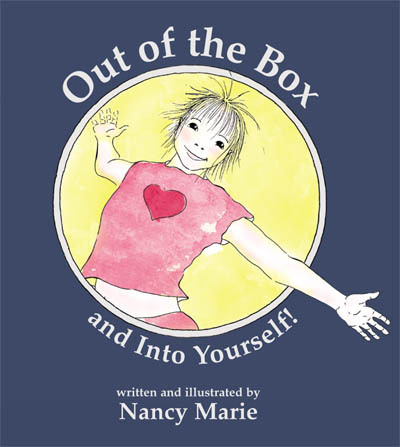 The vivid images enable even very young children to understand and apply this important information into their life. Explore the pictures together. (If possible, provide each child with their own copy. This will allow him or her to move and reflect at their own speed.) Have each child identify the picture they like the best. Dialogue about how it feels to get stuck and how they feel like responding in that moment. Laugh and talk about the possibilities. Tell stories about when you were stuck and how you got unstuck. Encourage them to tell their own stories. Dialogue about things they do that make them happy. Discuss how doing or remembering something that makes you happy can help you get unstuck. Uncover the rhythm of the story. Have the students tap the rhythm with their hands so they can experience how rhythm is an important part of story telling. Read the book out loud as a group continuing to focus on the rhythm and the rhyme. Discuss the ways the character was able to get unstuck. How is that similar to the ways they know how to get unstuck? Did they discover any new ways of getting unstuck from reading the book? Review the three important steps to getting unstuck in any situation. How do these steps apply to the ways they know how to get unstuck? Using one of the downloadable exercises, demonstrate how they can get unstuck just using their pencil. 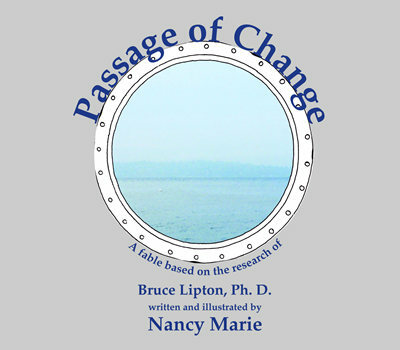 Passage of Change, A fable based on the research of Bruce Lipton, Ph.D. 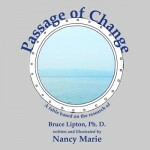 Passage of Change illustrates how our beliefs affect our cellular biology-and how by changing our beliefs we can literally change our whole life. This book can be use with many subjects because it is rich with imagery, metaphors and solid scientific information. This book is currently being used in 4th through 8th grade classrooms. Explore the rhythm by having the students tap or clap it out as a stanza is read out loud. Read the book out loud as a group while the students continue to tap the rhythm softly on their arm or leg. As a group, have the students extract all of the scientific information. As a group, have the students extract all of the metaphors and images. Discuss the possible reasons the author chose to present the material in this fashion. Discuss how the main character gained clarity. How is that similar to ways they know how to get clear? Use one of the downloadable exercises to illustrate how drawing can encourage introspection and help you become clearer.